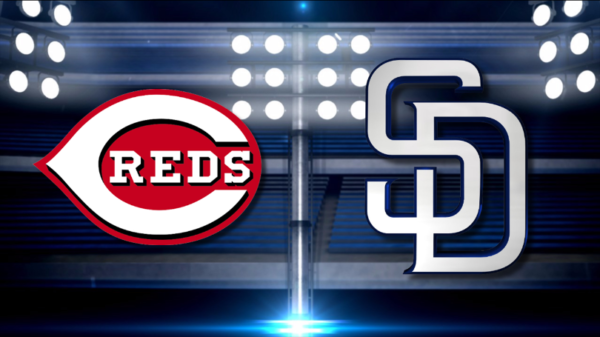 Join fellow Ohioans as the Padres take on the Cincinnati Reds at Petco Park. Your tickets will grant you access to the Pacifico Porch, which is a large group space near the Western Metal Building in left field where attendees can mingle, and a buffet that features chopped salad, chicken wings, hot dogs, peanuts, cracker jacks, soda, bottled water, and draft Pacifico beer. Food service begins one hour prior to first pitch and lasts until one hour after first pitch. Peanuts and Cracker Jacks will be brought out in the 3rdinning and beverages last through the 7th inning. Help us represent Ohio State at this all-Ohio colleges and universities event! Purchase your tickets online for $87.50 per person. 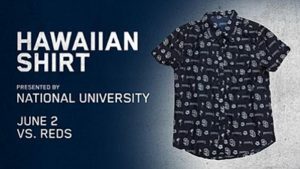 This Saturday night game also features a Padres Hawaiian Shirt as a giveaway (available on a first-come, first-served basis). Come early to make sure you receive your size. Must purchase tickets by May 4.